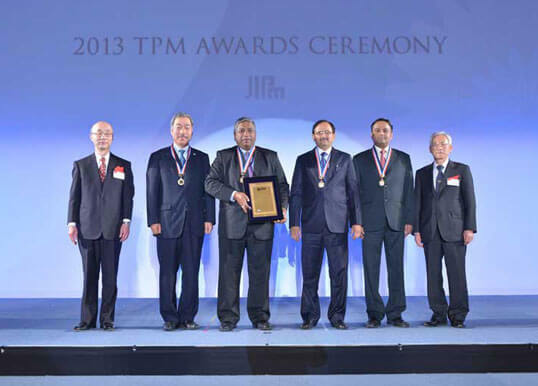 The Dharwad plant of Tata Hitachi Construction Machinery Company Private Limited has been conferred with the Award for Excellence in Consistent TPM Commitment in a function at Kyoto on 12th March’14. This is the Stage 2 award, the previous being Award for Excellence in TPM, which the plant received in 2010. 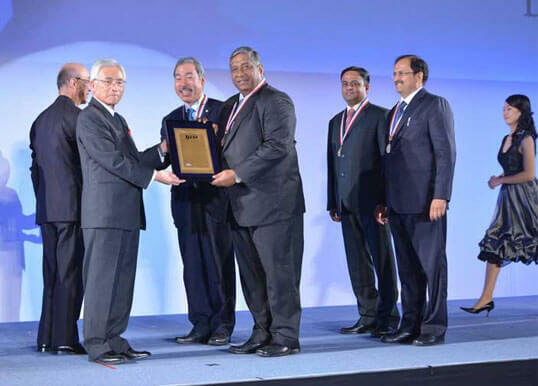 Indeed, this is a prestigious achievement, bestowed by JIPM, Japan. Located amidst the Western Ghats in Northern Karnataka, this plant, set up in 1999, has been taking rapid strides in manufacturing excellence, since inception. Apart from achieving the basic tenets of TPM – zero in defects, accidents and breakdowns – this plant has embarked on several initiatives towards innovative manufacturing of construction equipments that have ensured market leadership in its products, also being exported to various countries in Asia and Africa. More than merely achieving operational efficiencies in manufacturing defect-free products of world class quality, factors that are now considered as ‘given’ – it is a changed mind-set that has largely been responsible for the transformation. Driven by visionary leadership and guidance right from top, a never-say-die attitude, involvement of one and all, and strong teamwork across hierarchies, have helped the company attain such heights. Not one to rest on laurels, the Dharwad Plant has now set 2017 as the timeline for achieving Stage 3 of TPM – Special Award for TPM Achievement, embarking on concepts of Innovative Manufacturing through Lean, Continuous flow factory, Du Pont and Climate change initiatives not only within the plant, but also to those of its vendor partners. The journey on the quest for excellence continues. © 2018 Tata Hitachi Construction Machinery | All rights reserved.